Congratulations to the four 2019 UK River Prize Finalists. Click the image to view the press release and find out more about these projects. The winner will be announced at the Awards Dinner, coinciding with the RRC Conference on April 30th at the Britannia Adelphi Hotel in Liverpool. Please email us if you would like to attend the Awards Dinner. Thank you to all applicants. Check out the range of sponsorship opportunities available for our 2019 Annual Network Conference being held at the Britannia Adelphi Hotel, Liverpool on April 30th & May 1st. Packages include advertising in the conference handbook, and having an exhibitor stand on the day. For further information, please click within the image! Check out these summary factsheets detailing statistics on the projects held in the National River Restoration Inventory of projects. RRC can provide independent and impartial advice on a number of topics and issues. 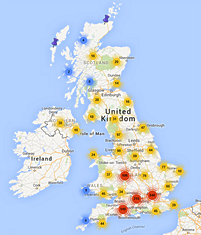 Our advice is supported by over 20 years of experience and data on thousands of projects. We can offer advice to both our Members as well as Non-members, so please get in touch to find out how we can help you! Congratulations to the 8 2018 River Champions! Click the image to find out more about how the River Champions have contributed to river improvement in their area. 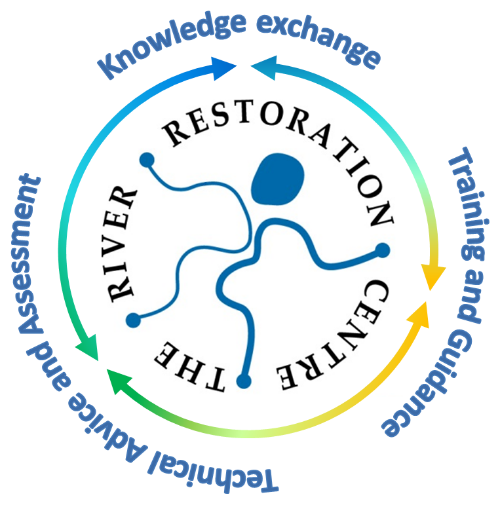 RRC is the national advice centre for best practice river restoration, habitat enhancement and catchment management. This month we announced the keynote speaker for the 2019 RRC Conference, and the 2019 UK River Prize Finalists. Have a look at the upcoming RRC training courses including 'Developing a Catchment-wide River Restoration Plan' and 'Mapping for Natural Flood Management'. Plus, watch this space for the Manual of River Restoration Techniques update. Restoration of unnamed tributay of River Chew offers new habitat for rare wildlife.